The Fourth of July is fast-approaching and not only will people be celebrating with fireworks and sparklers, but many of us will also be congregating around bonfires..........and, as we all know, with bonfires comes s'mores. 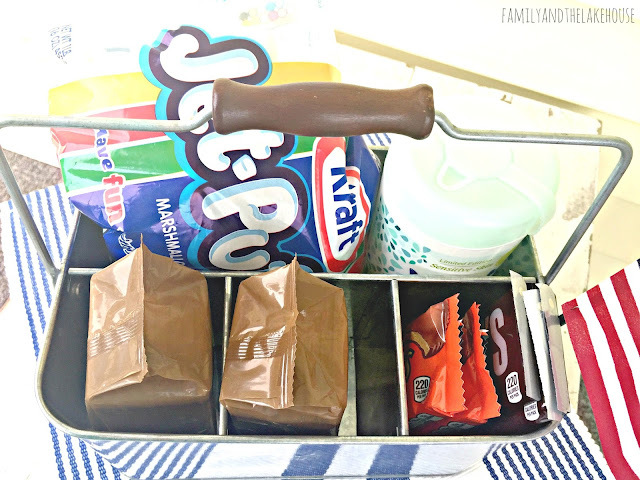 So, I thought I'd swing by today and share this super easy and quick s'mores caddy that I recently threw together. 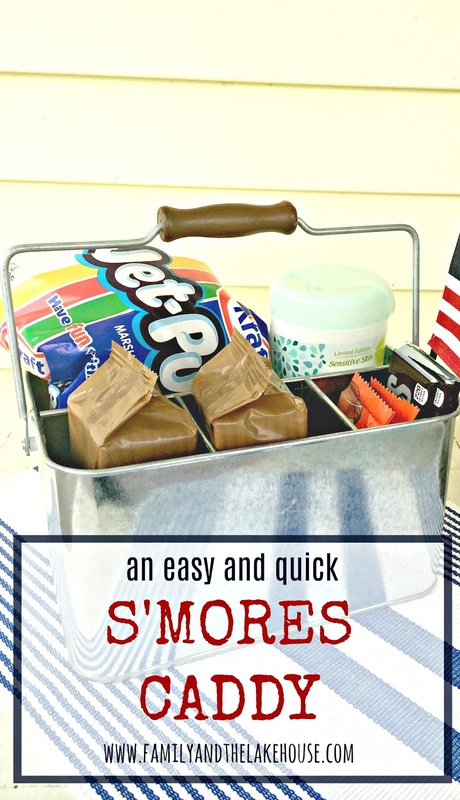 You guys, I'm reaaaaally excited about this as I'm usually the one at our house awkwardly juggling all of our s'mores essentials while en route to our backyard bonfire. 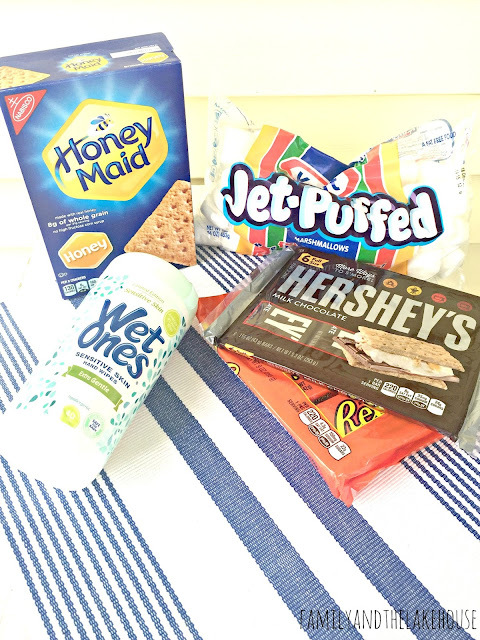 The time had finally come to remedy the "s'mores situation." So, I gave it some thought...then it finally clicked - what if I used my utensil holder? You guys - game changer! I'm loving that there's a place for every item. Also, once finished making those scrumptious s'mores, just tie up, twist or clip each bag or wrapper and your caddy will be ready for your next summer fire! Easy clean up and storage? Yes please! Oh my gosh and the wipes?! Because, well, kids, and to be honest, adults......adults like me. Haha! 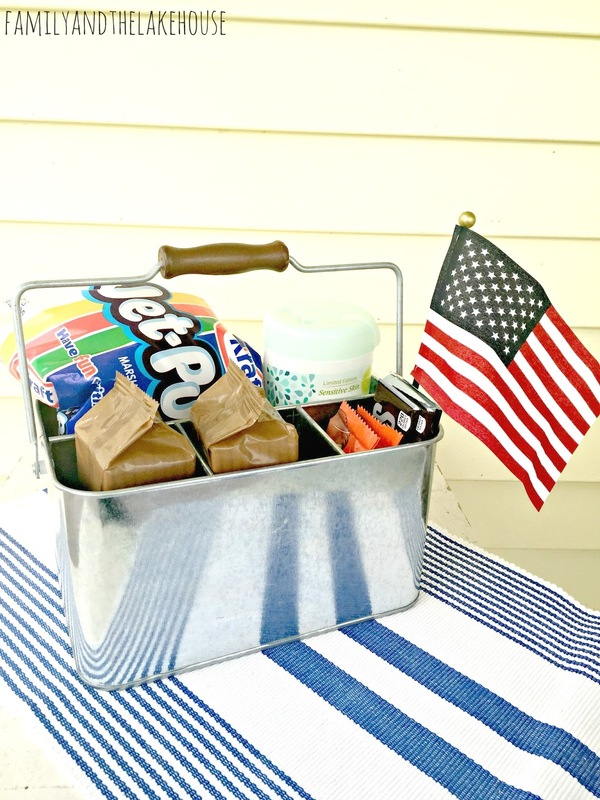 Go grab your favorite roasting stick and get crisping up those marshmallows, friends. Happy Roasting and Toasting, friends!